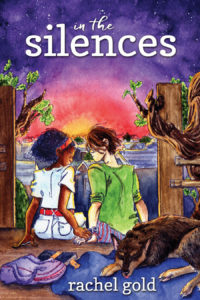 Multi-award-winning Young Adult author Rachel Gold’s new novel In the Silences is available from Bella Books on May 14. 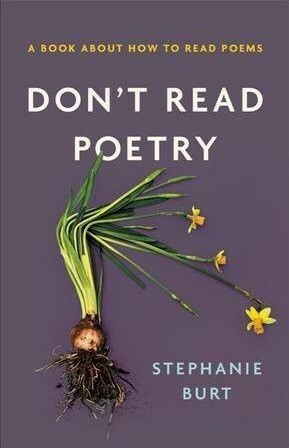 Poet & Harvard professor Stephanie Burt book Don’t Read Poetry is available from Basic Books on May 21. Both books make subjects that can seem dauntingly complex—poetry, canon, gender, race—very accessible to audiences from teens on up. 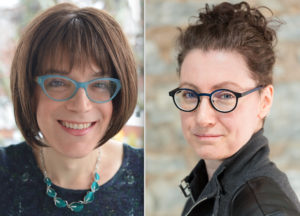 Stephanie and Rachel speak about topics include the power of story, why we love (and need) superheroes, transgender themes in science fiction and fantasy literature, and more! In the Silences is the story of fourteen-year-old Kaz Adams, who just wants to read comic books and spend every day with Aisha Warren. And maybe get up the nerve to ask her out, if Kaz turns out to be a gender that Aisha’s into. Loving Aisha opens Kaz’s eyes to the prevalence of racism in their town, but none of the other white people see it. By the time they reach sophomore year, Aisha is fighting on all fronts and their school system is crushing her. Kaz must find a way to change minds at school and among their friends or lose the sweetest, smartest, comic-book-reading girl in the world. Don’t Read Poetry offers an accessible introduction to the seemingly daunting task of reading, understanding, and appreciating poetry. Burt dispels preconceptions about poetry and explains how poems speak to one another–and how they can speak to our lives. Burt moves seamlessly from Shakespeare and other classics to the contemporary poetry circulated on Tumblr and Twitter. She challenges the assumptions that many of us make about “poetry,” whether we think we like it or think we don’t, in order to help us cherish–and distinguish among–individual poems. Stephanie’s recent book of poems, Advice from the Lights, is an NEA Big Read title. NEA Big Read grants range from $5,000 and $15,000 and also provide community organizations with resources, outreach materials, and training on various aspects such as working with local partners, developing public relations strategies, and leading book discussions and Q&As. For more information about the NEA Big Read, click here. Stephanie and Rachel are available for interviews, speaking events, panels and conferences. For more information or to schedule them, contact: Anya Backlund, Vice President & Speakers Representative, Blue Flower Arts, anya@blueflowerarts.com, 619-944-9247. Stephanie Burt is a professor of English at Harvard University, coeditor of poetry at the Nation, and the recipient of a 2016 Guggenheim fellowship for poetry. Her work appears regularly in the New York Times Book Review, New Yorker, London Review of Books, and other journals. She lives in Massachusetts. Rachel Gold is the author of five award-winning queer and trans young adult novels—including Being Emily, the first young adult novel to tell the story of a trans girl from her perspective. Despite a two-decade career in journalism and marketing, she’s better known as a nonbinary lesbian, all around geek and avid gamer. She also teaches at the Loft Literary Center an annual class for teens that is also a game.